Summary of the project: I worked in Lilongwe helping change agricultural practices to improve nutrition, soil fertility and water management, along with providing a sustainable income and future for Malawians. 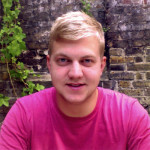 Ben Shaffery has been a creative at Wieden + Kennedy London for the past 4 years, working on a range of local and international accounts. Some of his more recent work was Cravendale’s ‘Barry the Biscuit’ campaign featuring an animated biscuit boy, and Stirde’s ‘Gumulon’, the world’s first chew-controlled game. Prior to that, Ben studied at London College of Communication and took part in a student exchange in Hong Kong for a semester. Following on from his time in HK, Ben also completed a string of internships that took him around the world, working for agencies in New Zealand, Shanghai and New York where he gained experience working in different markets. In his spare time, Ben likes to play squash and volleyball. He’s also into cycling and likes to get on his bike and head out into the countryside when he can. Other than that he loves travelling and finding new places to explore. Ben went to Malawi to work with Kusamala, to help them change agricultural practices to improve nutrition, soil fertility and water management, along with providing a sustainable income and future for Malawians. You can read more about his project HERE.